In our previous article, we sized and built the base for our multi-role Exchange Server. Then we extended our Active Directory Schema. In our previous article, we discussed how to check and raise the domain, forest, and Exchange functional levels. We also looked at the minimum service pack requirements for our domain controllers. With Exchange 2003 going end of life in less than two weeks, I have had a significant influx of last-minute migrations and migration questions. For those that don’t know, Exchange 2003 is reaching end-of-life on April 8th, 2014. What this means is that there will be no further patches or service packs for this product, nor, will you be able to receive any form of paid assistance from Microsoft. You may be able to find a consultant that can help with Exchange 2003 for years to come. Keep in mind, that finding someone with that knowledge and skill set will diminish over time. A couple of years ago I helped a friend with a failed Exchange 5.5 box. Yes, that is not a typo. We were able to get it operational. The miracle is that I remembered a best-kept secret from 5.5 to get it going. These were things I hadn’t thought about in 12 years!! I truly shocked myself. The larger concern, however, is the complete lack of updates. If an exploit were to be found in the product, after April 8th, you are on your own. Now, is the time to upgrade! There are many great articles that have already covered this process. One of my favorites is by Jaap Wesselius. And while Jaap writes a fantastic article I wanted to write my own article for a slightly different audience in mind. That of the small business. So, you have successfully moved all your users away from Exchange Server 2003, mail flow is redirected to the new server, the databases have been removed, recipient update policies removed and now you just need to know how to uninstall Exchange 2003 from the environment. Well with the full version of Exchange you just simply go to Add or Remove Programs, select Exchange Server 2003 and hit the Change/Remove button. Exchange 2010 Upgrade Address Lists from 2003 Error. As mentioned in a previous blog post the end-of-life deadline for Exchange 2003 looms on the horizon. That being said, I discussed last time the process and syntax for upgrading the Recipient Update Policies in Exchange 2003 to the new Email Address Policies in Exchange 2010. Following a similar theme this post will discuss how to upgrade the Address Lists in Exchange 2003 to 2010. Like before this process is conducted in the Exchange Management Shell and like before if you tried to edit those Address List in the Exchange Management Console you would receive an error that the Address Lists were created in a legacy version of Exchange and need to be upgraded. The specified address list could not be edited. Address lists created by using legacy versions of Microsoft Exchange must be upgraded by using the "ForceUpgrade" parameter of the "Set-AddressList" cmdlet. Exchange 2010 Upgrade Recipient Update Policy from 2003 Error. With Exchange 2003 end-of-life deadline looming ever closer I thought it would be a good time to revisit the syntax for upgrading the Recipient Update Policies in Exchange 2003 to the Email Address Policies in Exchange 2010. If you have received the error below when you try to double-click or edit an Email Address Policy in the Exchange Management Console, then your Recipient Update Policy still needs to be updated. The specified e-mail address policy couldn't be edited. 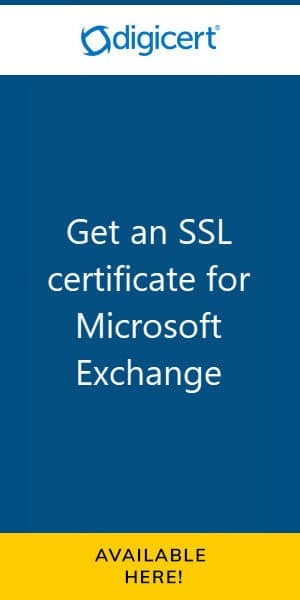 E-mail address policies created with legacy versions of Exchange must be upgraded using the 'Set-EmailAddressPolicy' task, with the Exchange 2010 Recipient Filter specified.